Graeme is a lead consultant for GDP Global on legal and policy frameworks and legislation. He assists governments, agencies, and business organisations to develop and deliver reforms to legal and administrative frameworks. A qualified legal and tax professional, Graeme has advised governments in 30 countries. He has delivered many legislative, incentive, and investment reforms. He has expertise in taxation law and administration, and has advised on design of, and reforms to, fiscal incentives to align with broader investment policy. He has worked with investment agencies on governance standards and mechanisms. 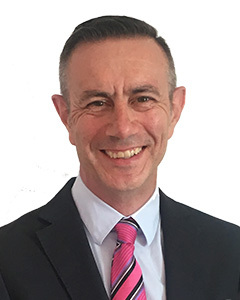 Graeme is also a qualified solicitor, and an accredited tax professional with experience in a range of investment, tax and legal roles, across most sectors. He has advised on legal and policy frameworks for investment in several countries in Africa, the Caribbean, East Asia, and the Pacific regions. Led project to deliver implementation plan and toolkit for prioritised business climate reforms in Haiti to generate greater investment. Advised Government of Papua New Guinea on Special Economic Zone policy and legal frameworks; prepared a regulatory impact assessment of proposed Exclusive Economic Zones in Bangladesh; and prepared investment laws and regulations for Vanuatu and Cambodia. Retained by the International Finance Corporation to review and benchmark investment codes, including Indonesia, Timor-Leste, and Solomon Islands. Graeme delivers training on legal and institutional development topics, and has delivered training for Investment Promotion Academy and presents at international conferences and seminars. Education: LLB Law; DipLP Legal Practice (University of Edinburgh). Languages: English (native); French (good).